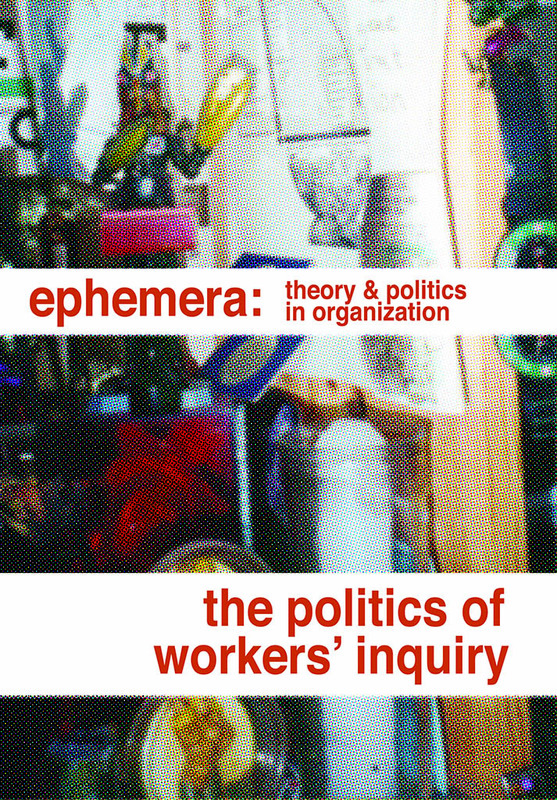 This issue brings together a series of commentaries, interventions and projects centred on the theme of workers’ inquiry. Workers’ inquiry is a practice of knowledge production that seeks to understand the changing composition of labour and its potential for revolutionary social transformation. It is a practice of turning the tools of the social sciences into weapons of class struggle. It also seeks to map the continuing imposition of the class relation, not as a disinterested investigation, but rather to deepen and intensify social and political antagonisms. Workers’ inquiry developed in a context marked by rapid industrialization, mass migration and the use of industrial sociology to discipline the working class. It was formulated within autonomist movements as a sort of parallel sociology based on a radical re-reading of Marx and Weber against the politics of the communist party and the unions. The process of inquiry took the contradictions of the labour process as a starting point and sought to draw out such political antagonisms into the formation of new radical subjectivities. With this issue we seek to rethink workers’ inquiry as a practice and perspective, in order to understand and catalyse emergent moments of political composition. Labour, religion and game: Or, why is art relevant for social science?